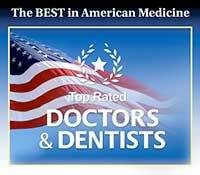 Thank you for visiting Riverdale Dental Center online! Our caring dentist, Dr. Jon C. Bauman, is proud to provide comprehensive dental care for you and your family. We strive to meet all of your dental needs and goals in a welcoming, comfortable environment. For over a decade, our experienced dentist and dental team have proudly served Brighton, Colorado, and the surrounding areas of Berkley, Henderson, Hudson, Commerce City, Green Valley, Reunion, Green Valley Ranch, and Springfield, Colorado, with high-quality holistic dentistry. We invite you to contact us soon to learn more and to schedule your next visit with Dr. Jon C. Bauman. We are eager to improve your smile! Please feel free to call at any time. We are always open for emergencies.